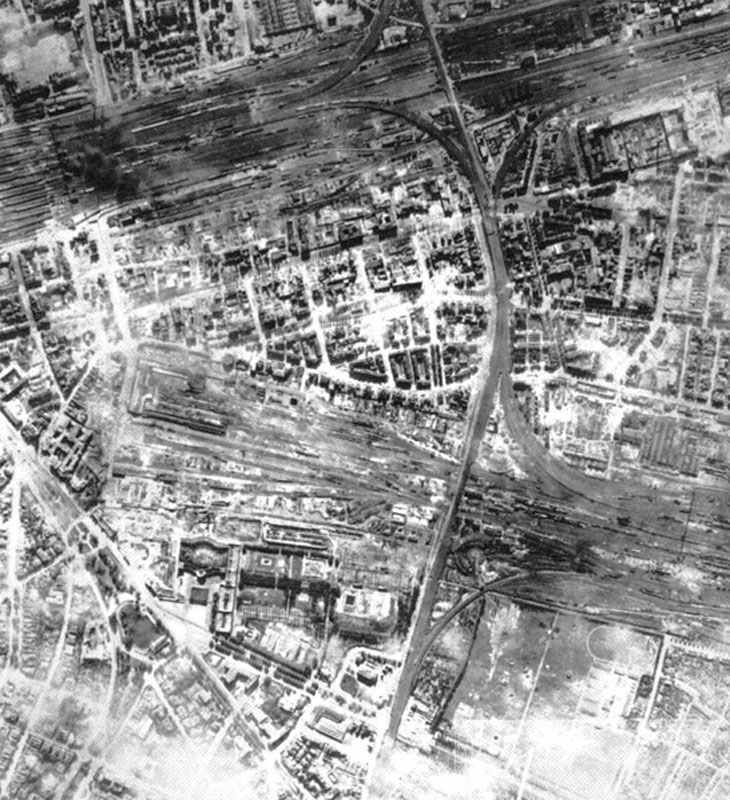 his is the aftermath picture from a Lancaster raid on Frankfurt (railway aerial) on 12/13 September 1944. This raid was destinated to be the city’s last major attack of the war. Germany: 209 RAF bombers attacking Stuttgart and dropping 781 t of bombs. RAF bombers attacking Frankfurt and dropping 1,556 t of bombs. US 3rd Army captures Neufchateau. French troops of 3rd and 7th Armies make contact at Chatillon­sur-Seine. Atlantic: 4 US warships and Liberty ship (previously torpedoed by U-boat U-518) lost in hurricane off Eastern Seaboard. Britain: Death of William Heath Robinson, eccentric cartoonist.